Finding the best boats from Panama to Colombia has been on the mind of many backpackers since the start of the trips many years ago. It was in the middle of the 1990s that some sailboats started to offer transport to travelers looking to crossing the Darien gap between Colombia and Panama. There has never been an all year round functioning road between Central America and South America. An unwelcoming swamp jungle makes any roadwork extremely difficult, not mention the maintenance work such a road would incur. Add a long-term guerrilla war and a popular drug smuggling route and the area is pretty much lawless and unreachable travelers, as well as the law. Only recently has air travel between the two countries become reasonable and affordable enough for budget travelers. However, the price of an airfare is still at the level of the all-inclusive 5-day sailing trip though one of the worlds most picturesque islands leaving many travelers to choose the San Blas experience rather than another hour in the air. 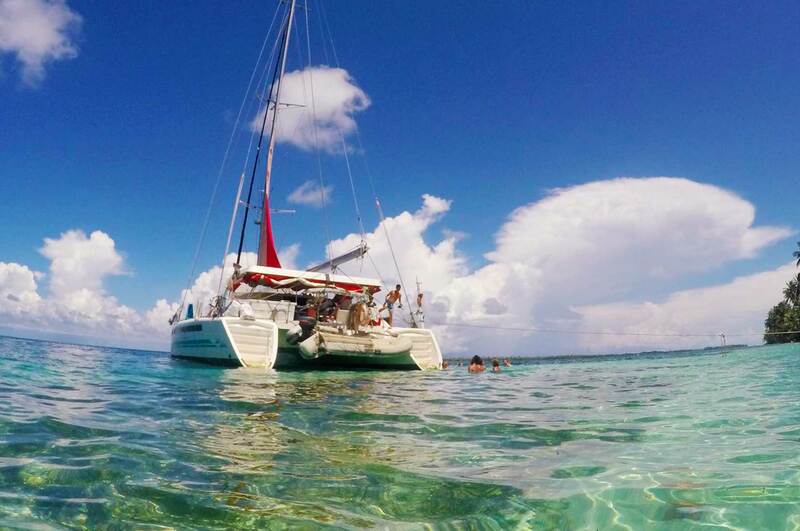 As the San Blas sailing trips became more and more popular it attracted more sailboats to the area and some started to operate full time transport of backpackers. The unregulated business attracted many unserious people looking for some fast money. By the mid 2000s the business started to get a bad reputation and it was difficult to get reliable information of what was the best boats from Panama to Colombia. Hostels and agents did not provide good information on the quality of the trips offered which let notorious boats to operate much longer than they deserved. By 2009-2010 blogs, social networks and internet search had became more important to spread reviews of good and bad boats. It has had a positive impact on the San Blas sailing industry. The most notorious boats got less traffic as travelers shared experiences online and many have disappeared. In recent years the San Blas Sailing trip is moving from being transport to be an experience in it self. More and more travelers come are searching online to find the best boats from Panama to Colombia and their main goal of their trip is the San Blas sailing trip. By the mid 2000s the business started to get a bad reputation and it was difficult to get reliable information of what was the best boats from Panama to Colombia. Every backpacker has a different expectation of what constitutes a good trip for him or her. Some travelers prefer to see San Blas through the bottom of a cocktail glass on the deck of a large catamaran partying with old and new friends. Other travelers are looking to experience nature and prefer to spend afternoons and nights in tranquility. Some want big boats while others would like the authentic mono hull sailboat experience. This is why we tried to keep our products along these lines. We offer only three boats to keep it nice and simple. Quiet sailing on a big boat where all you focus is on nature experience. Santana has prohibited use of hard liquor on board to secure relaxing ambience for all travelers on board. Both Mintaka and Quest are large mono hull sailboats that can take up to 8 passengers with main focus on nature experiences. Swedish captain Goeran has been sailing for years around the caribbean looking for the best snorkeling and diving experiences. The Best Boats from Panama to Colombia . We want to be sure to offer the best service and experience. That is why we keep it nice and simple. We only work with boats that we trust 110% and that deliver the best results every time. Made with Coffee & Caffein in Cartagena ©2018 cli3nte.com Come and visit us.